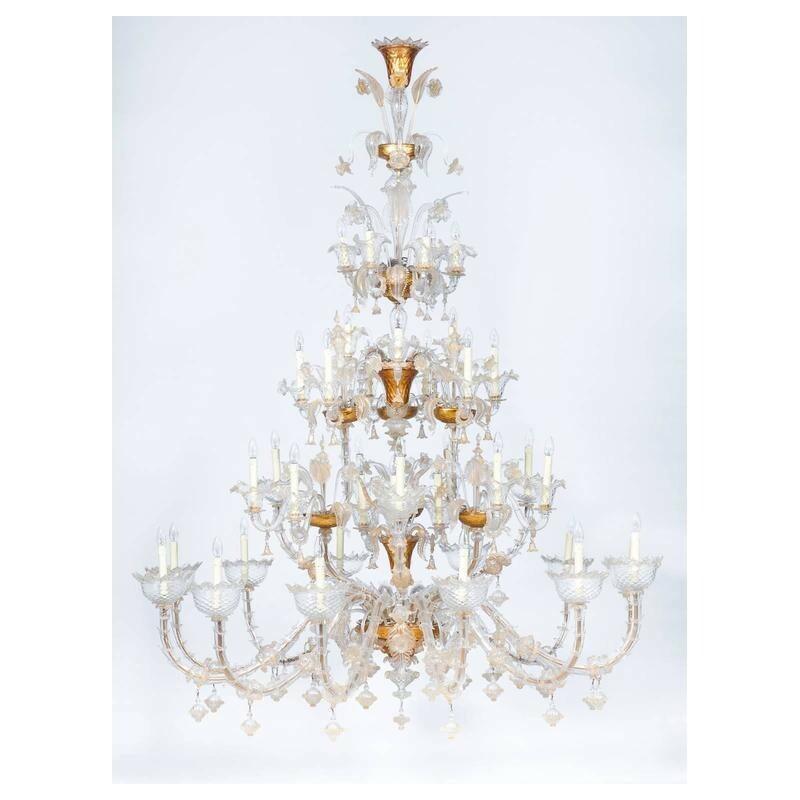 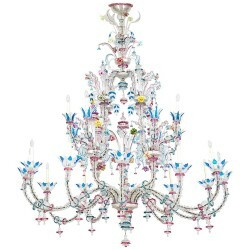 Amazing and very large Italian Ca' Rezzonico chandelier. 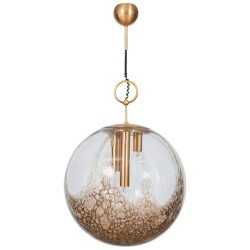 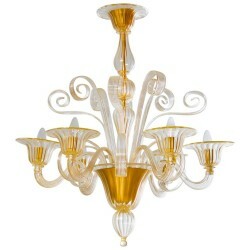 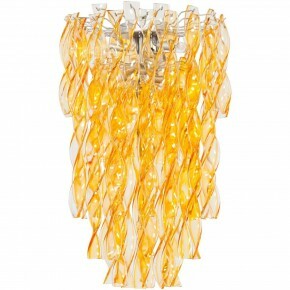 In transparent and 24-karat gold Murano glass. 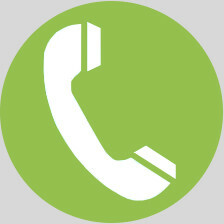 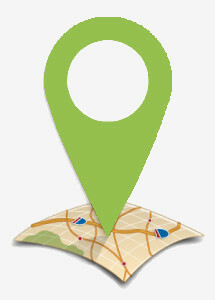 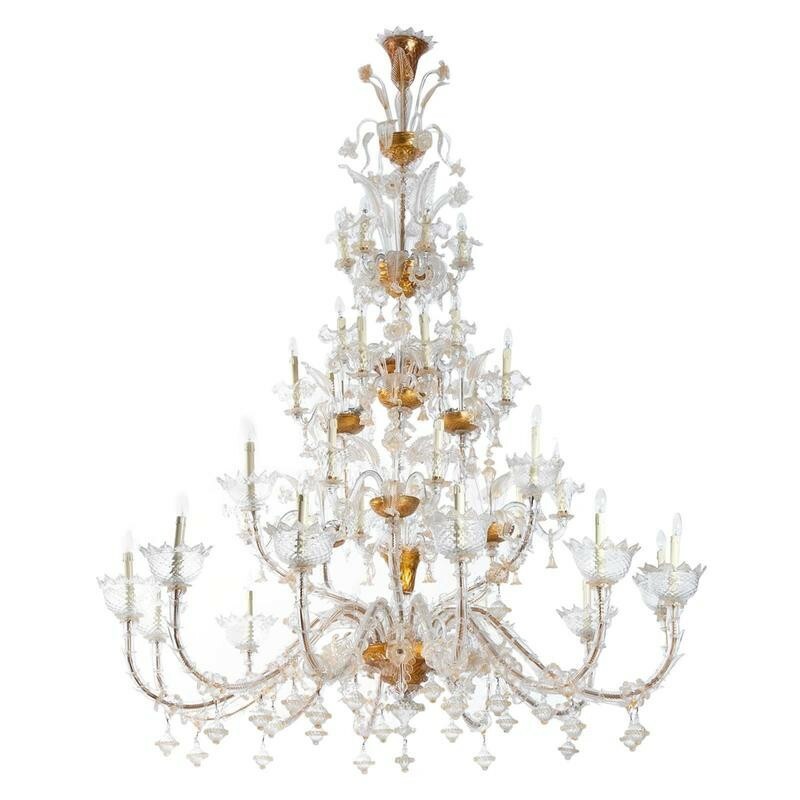 It has different layers: the upper and the lower part are connected together by three uprights. 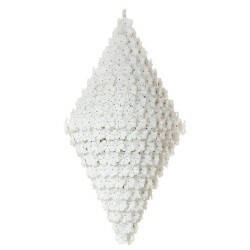 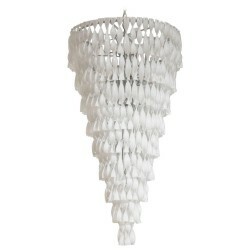 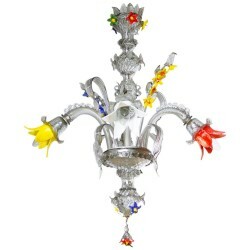 Composed of very detailed parts that represent high and low flower and leaves. 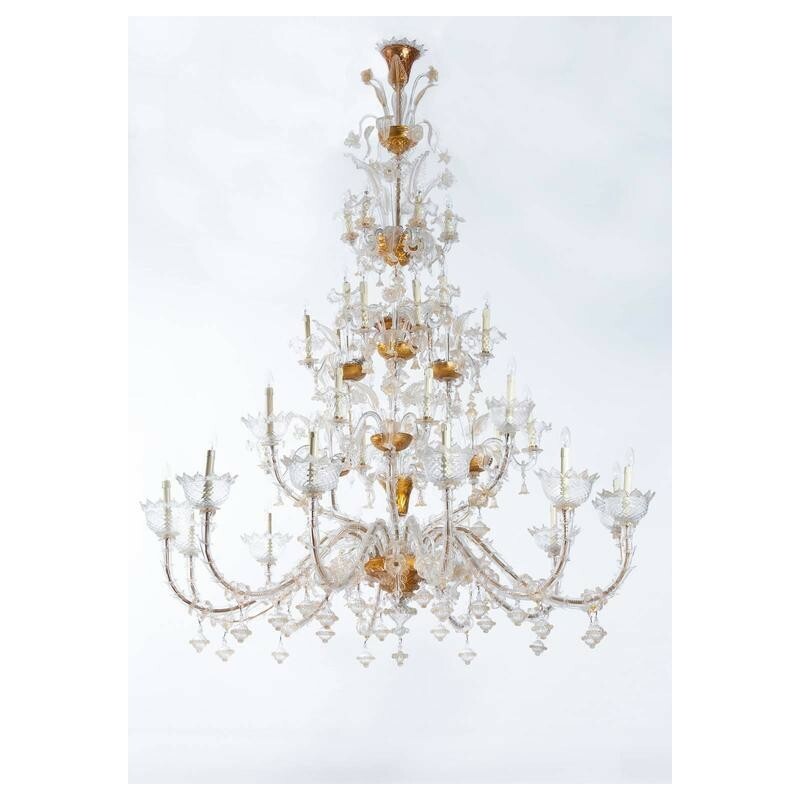 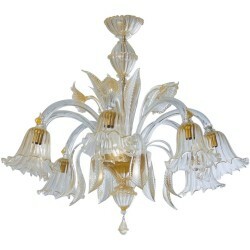 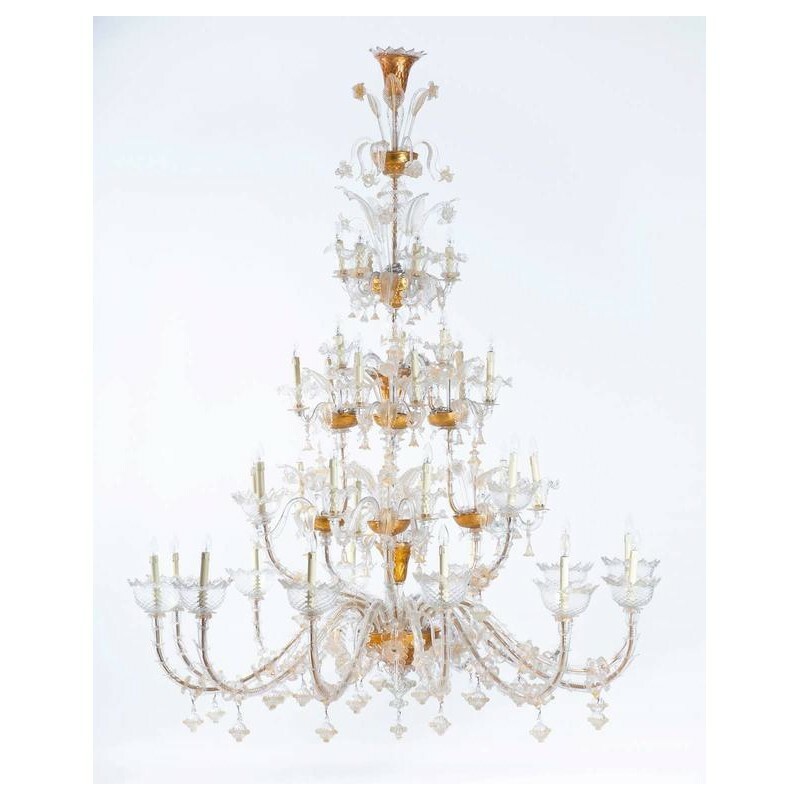 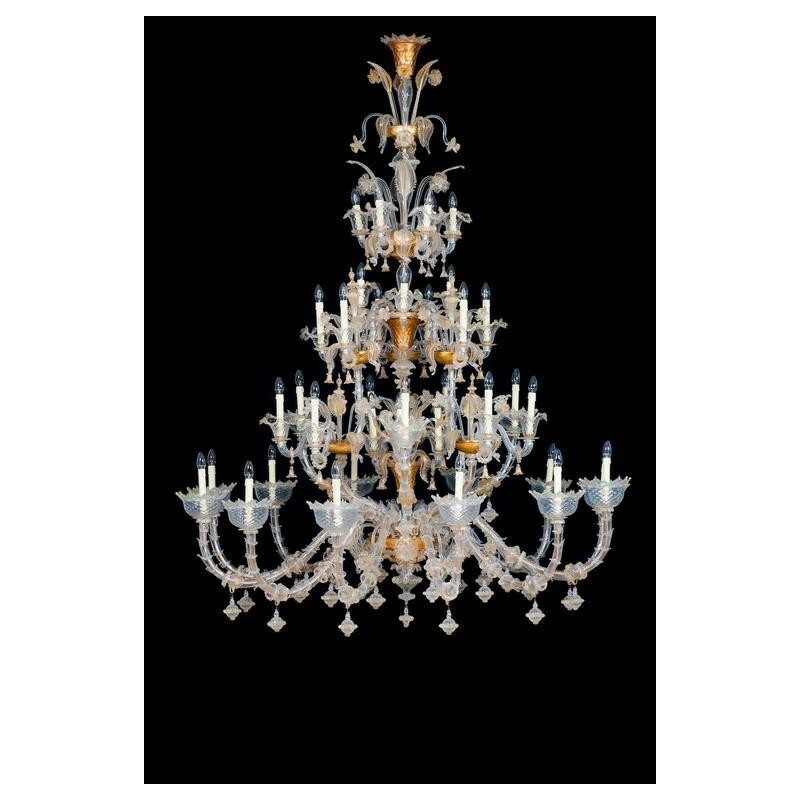 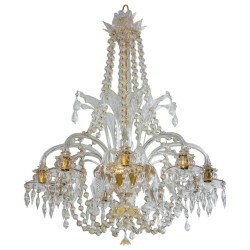 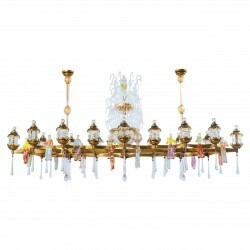 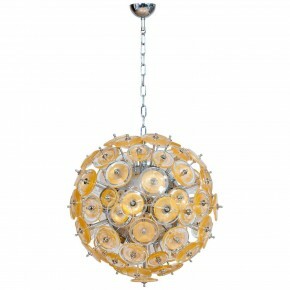 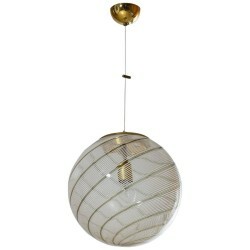 The chandelier holds thirty-nine lights, and has a vintage gold frame. 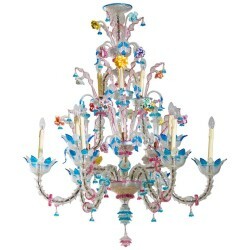 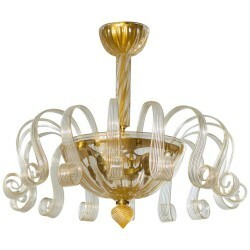 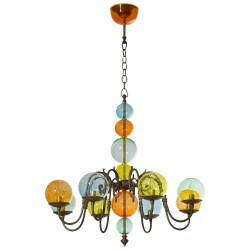 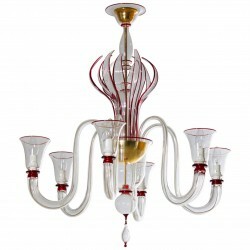 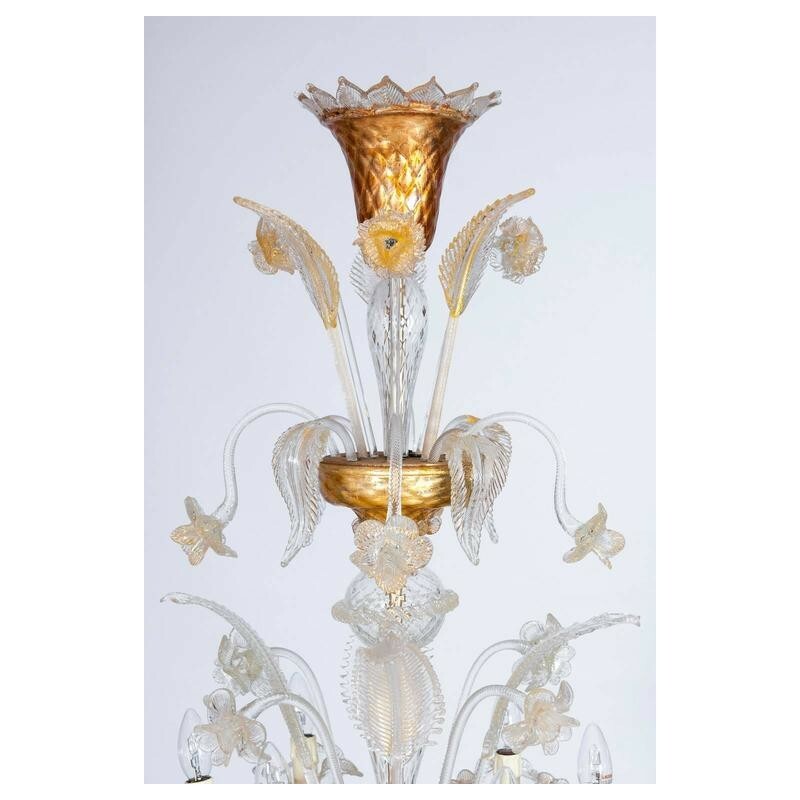 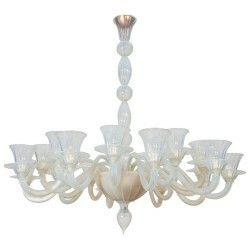 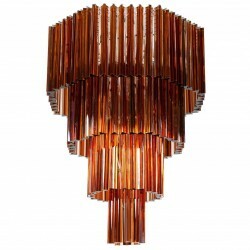 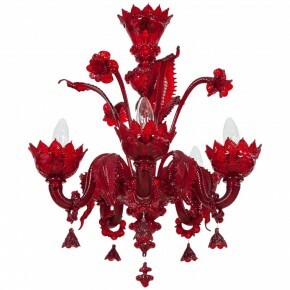 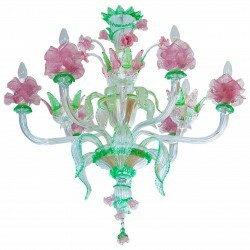 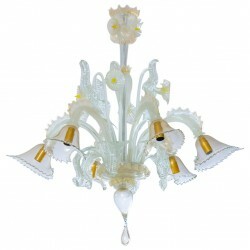 All parts were made on the island of Murano, circa 1950s, by Pauly & Co. 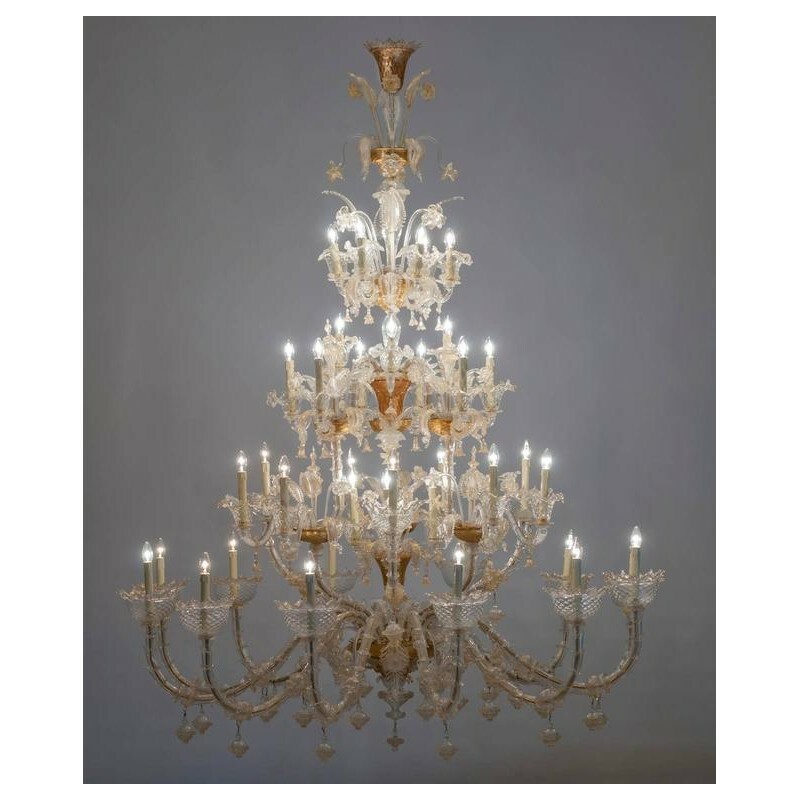 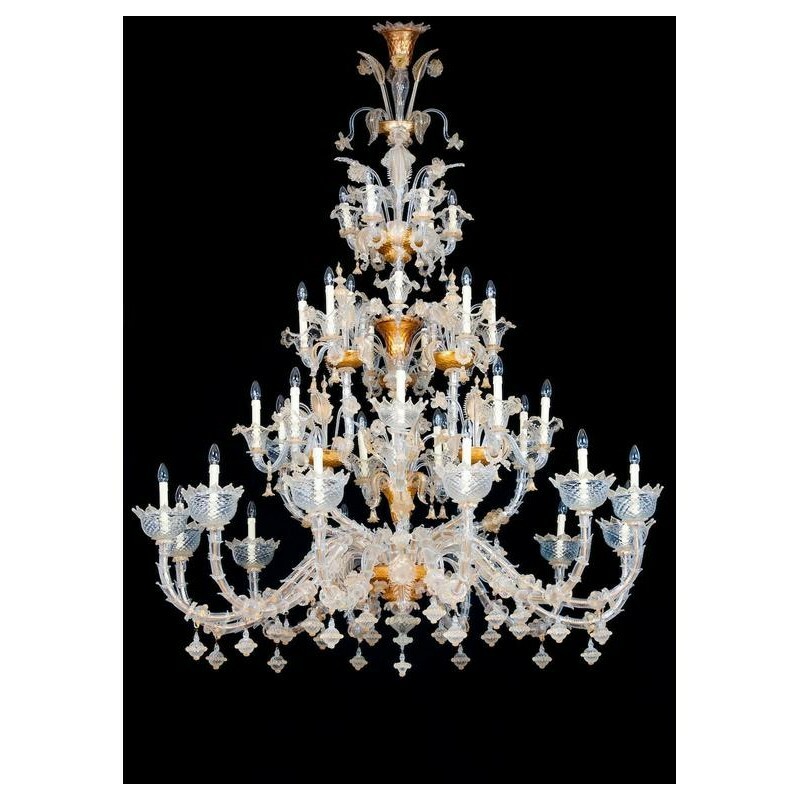 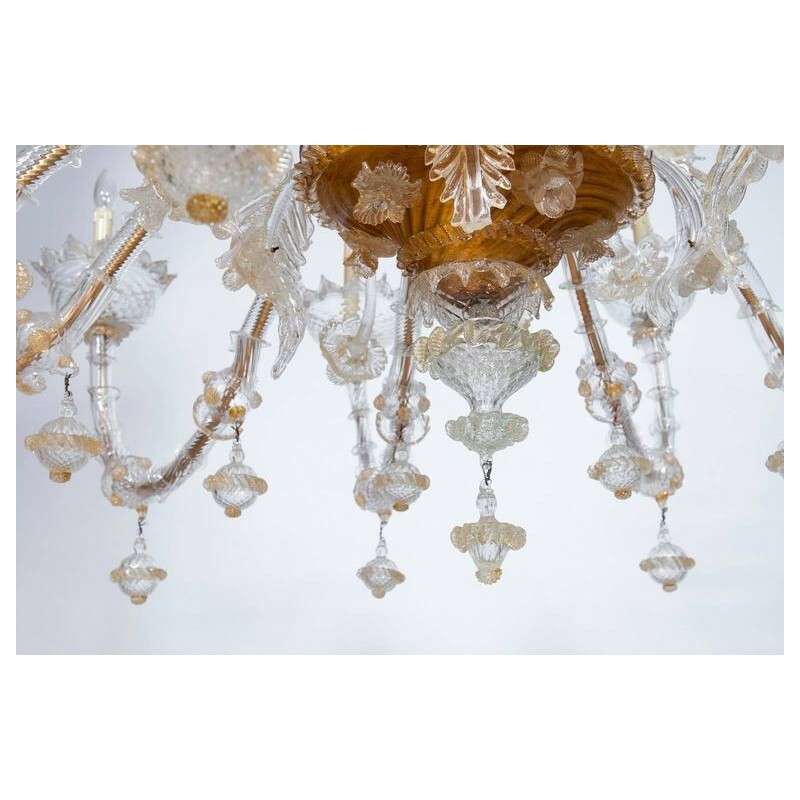 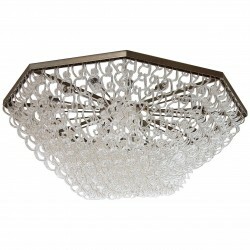 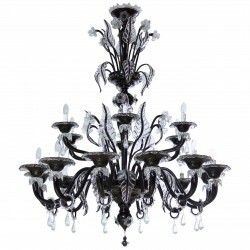 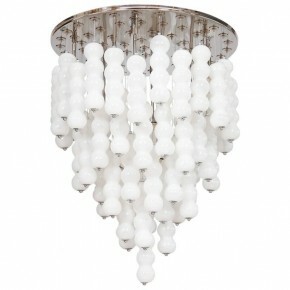 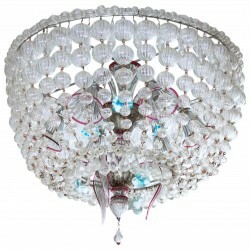 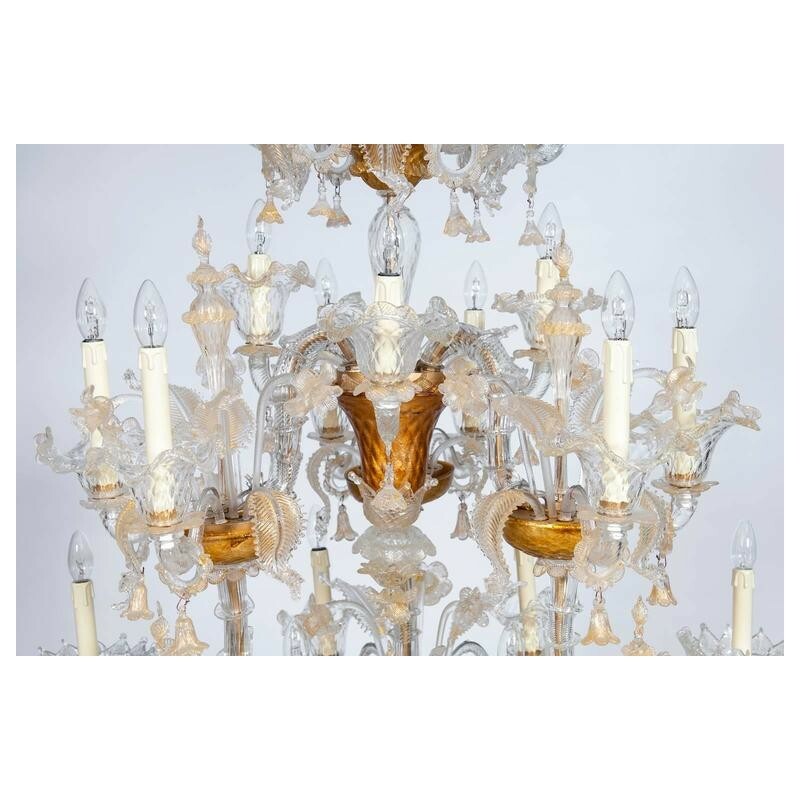 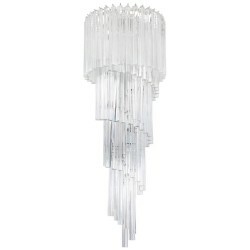 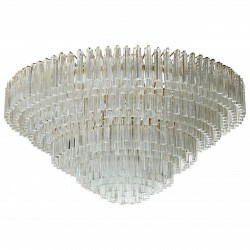 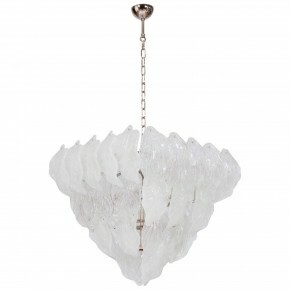 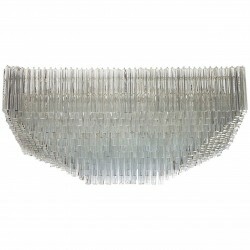 The chandelier is in perfect condition, without any imperfection and damage, and no parts are missing. 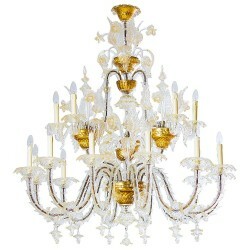 HEIGHT 240 cm / 94.49 in. 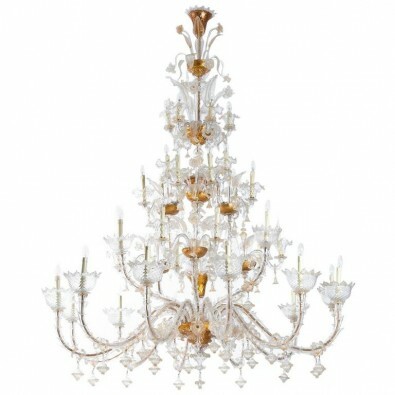 DIAMETER 195 cm / 76.77 in.